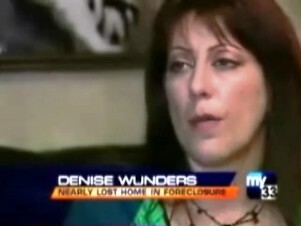 Woman risks foreclosure for legal fees owed to association. "It's legal but it's ridiculous," said Wunders. (CBS4) PEMBROKE PINES She thought skipping out on a homeowner's association fee wouldn't hurt, but for a Pembroke Pines woman this became a real life nightmare in which she almost lost her house. Denise Wunders nearly lost her homes four months ago when she forgot to pay her $106-a-year maintenance fee. After racking up some late fees, the homeowner's association's lawyers got involved and her bill went into the thousands of dollars. "It was one of those where I said it's tight, 'I'm gonna put it aside,'" said Wunders. However, attorneys who represent homeowners associations say buyers sign paper work telling them of these consequences, and once their lawyers get involved, the bills start stacking up. Wunders faced a $4,000 legal fee. "The board of directors has a fiduciary duty to collect these assessments," said Eric Glazer. "They have a duty by statute and they have a duty to enforce the terms of the document." Glazer represents dozens of HOA's. The issue was taken up by Florida's legislature during this last session, with the possibility it could have voted on a cap on these amounts charged by HOA's, but the item didn't pass. So if you live in one of these communities, be sure you've read all the fine print before defaulting on a payment.